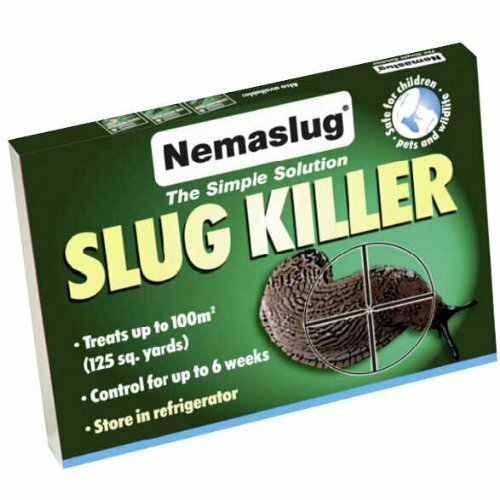 Nemasys Nemaslug product was featured in the Sun Gardening Step by Step as a treatment for slugs. However, nematodes can also be used to treat a variety of garden pests such as chafer grubs, ants and vine weevils without the use of chemicals. But what are they...? Nematodes are naturally occurring microscopic worms, already present in our soil in the UK. Beneficial nematodes attack and kill targeted garden pests. They are environmentally friendly, safe for children, pets and wildlife. Research scientists have isolated the nematode that kills specific garden pests including slugs, vine weevils, chafer grubs, leatherjackets, caterpillars, codling moth and various others. Millions of nematodes are bred to be easily applied by gardeners. When nematodes can no longer find prey they will die back to their original numbers. (Source: NemasysInfo.com) To try them in your garden have a look in the Organic Section of our online shop.